The National Security Adviser H.R. 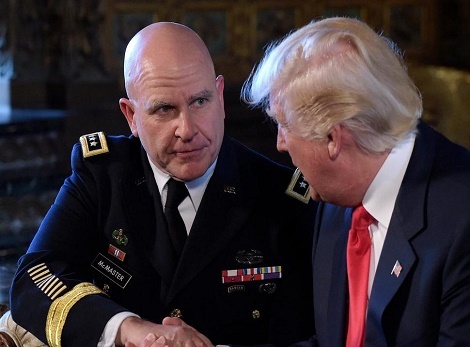 McMaster meets with President Trump. White House National Security Adviser H.R. McMaster served at a British think tank funded by one of George Soros’ controversial groups, which was praised by the Obama White House as central in helping to sell the Iran nuclear deal to the public and news media. In fact, President Barack Obama’s assistant national security adviser, Ben Rhodes, bragged about how President Barack Obama, Secretary of State John Kerry, National Security Adviser Susan Rice, and others successfully sold the Iranian deal to the American people. The IISS had been — and continues to be — supportive of the Obama administration-brokered 2015 nuclear accord with Iran, and the group has repeatedly hit back against charges that Tehran has violated the agreement. Once McMaster took over the reins of the NSC, the former U.S. Army general is being accused of purging the National Security Council of hardliners on Iran, and he is seen as a leading proponent of the Iran nuclear accord within the Trump administration. He has reportedly urged the White House to recertify Iran’s compliance with the Iran nuclear deal despite President Donald Trump’s repeated criticism of the deal that gives Iranians everything and the American people nothing. IISS’s website contains a list of groups, corporations and government entities that provide funding to the think tank, including during the period of McMaster’s work there. Curiously missing from the page of donors is the controversial Ploughshares Fund, a grant-making group identified last year by the Obama White House as central in helping him sell the Iran nuclear deal to the news media. “[President Barack Obama] knew full well how gullible members of the media truly are. He sold a bunch of willing reporters enough lies to spread to the American people. And McMaster added a helpful bit of credibility to the Iran pact sales pitch,” said former military intelligence operative and public safety commander Edward Mulhearn. 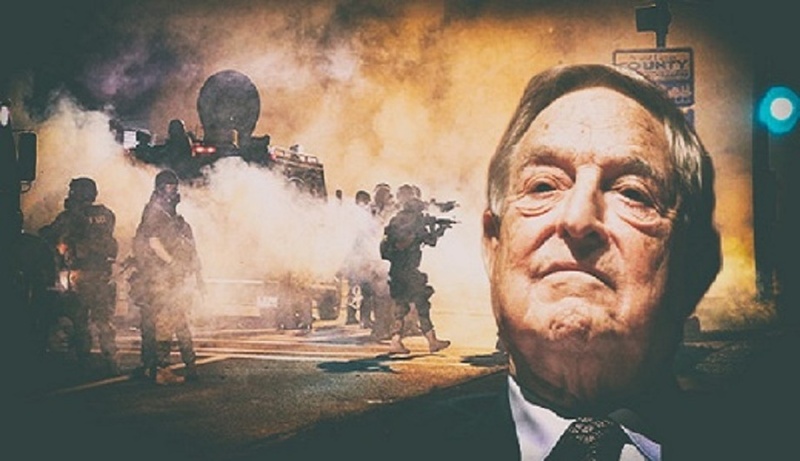 Ploughshares is in turn financed by Soros’s Open Society Institute, the Buffett Foundation, the Carnegie Corporation of New York, the Ford Foundation, the Rockefeller Brothers Fund and the Rockefeller Foundation. Another Ploughshares donor is the Tides Foundation, which is one of the largest contributors of the radical left. Tides is funded by Soros.